In 1595 BC Hittite ruler Mursili I (also Murshilish) went to Babylon, which was the largest military action during the Hittite Old Kingdom. After his death, Hittite country was invaded by the civil wars that have severely weakened the country. 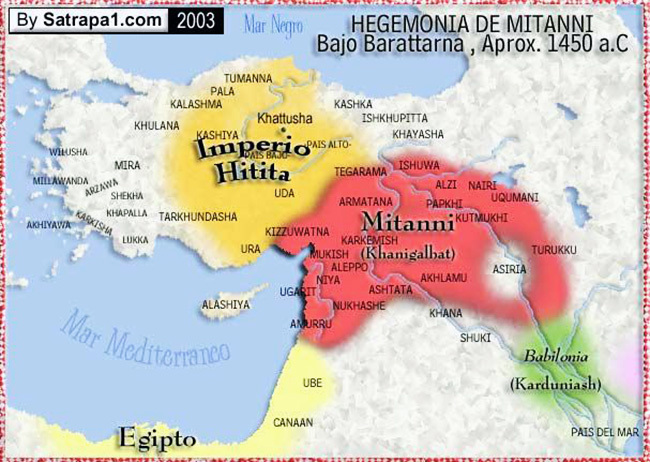 Mitanni took advantage of that, and it started slowly to enter in to Hittite territory. Rebellions of the Hittites vassal broke out in the Asia Minor. 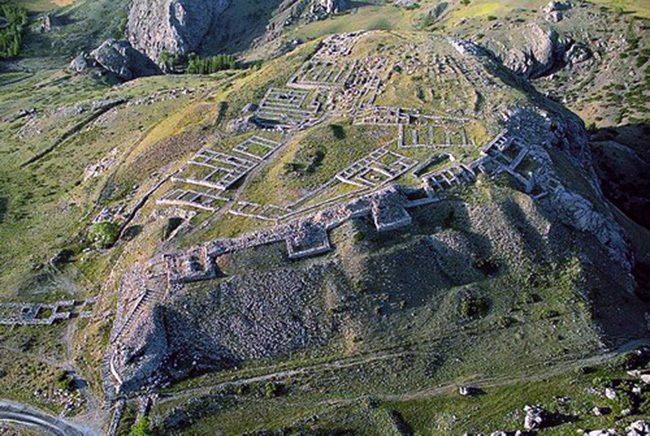 The territory, which was controlled by Hittite kings in the future, reduced to Hattusa and nearby surroundings of the city. Between 1430 and 1420 BC, authority over the city Hattusa took Tudhaliya I, and became the founder of a new Hittites dynasty. With his reign began a new epoch of the Hittite empire. When he established himself on the throne, he firstly dedicated to the improvement of Asia Minor. Fragments of the Tudhaliya I Annals recorded two campaigns against Arzawa. The first campaign of Tudhaliya I ended with defeat of Kupanta-Kurunta, “the man from Arzawa”, which saved himself by escaping from the battle. Arzawa controlled a large part of western Asia Minor, and it was a serious threat to the Hittite western border. In the second campaign, Tudhaliya I faced with a coalition consisting of 22 countries. Tudhaliya I in this conflict won. Despite the fact that they won, Hittites did not establish authority over these areas, nor they made people to pay tax. The victory brought them only peaceful western border. The main reason of conflict between Hittites and Arzawa is the text “The charge against Maduvata”. The document is stored in the form of letters, which Maduvata sent to Arnuwanda I, who was at the time co-ruler of Tudhaliya I. Maduvata ruled one of the frontier principalities in western Anatolia and he was not allowed to take any ventures without the consent of the Hittite king. Nevertheless, he attacked Arzawa and he suffered a defeat. Later with Kupanta – Kurunta he made an alliance. During Tudhaliya III period, Hittite border were attacked from many sides, and among the attackers was Arzawa. However, Tudhaliya III and his son Suppiluliuma I (1344-1322 BC) managed to cope with every trouble. Tudhaliya I and three of his successors, including Tudhaliya III managed to restore Hittites power in Asia Minor and in that way Mitanni’s country and control over northern Syria was threaten. In this way, they have paved the way for the most important ruler of the new Hittite empire new Suppiluliuma I.
Suppiluliuma I (1344 – 1322 BC) came to the throne after he overthrew his older brother and killed him. After he set on the throne, he devoted himself to strengthening the Hittites authority. First he tried to isolate the country Mitanni. He maintained a good relationship with Egypt, as well as with Kassites Babylon (he married the daughter of kassites king Burna-Buriash II). Suppiluliuma I interfered in the internal problem of the state Mitanni, in a way that he supported Mitanni’s prince, who wanted Tushratta’s (king of Mitanni) throne. Suppiluliuma I made an alliance with Ishuwa (in the northeast) and Nukhashe (in the southwest) and in that way he isolated Mitanni country. Since Tushratta tried to break that Hittite rim, Suppiluliuma I sent troops. He advanced rapidly, and the capital of the state Mitanni was devastated before Tushratta managed to gather his army. In the end, Tushratta was forced to flee. Suppiluliuma then continued campaign moving to the West and he has won many areas in northern Syria. After that the governor Kadesh, the Egyptian vassal, attacked Suppiluliuma, who then returned and conquered the city. After this also other Egyptian vassals in the territory of northern Syria, such as Amurru and Katna, were under Hittite rule. 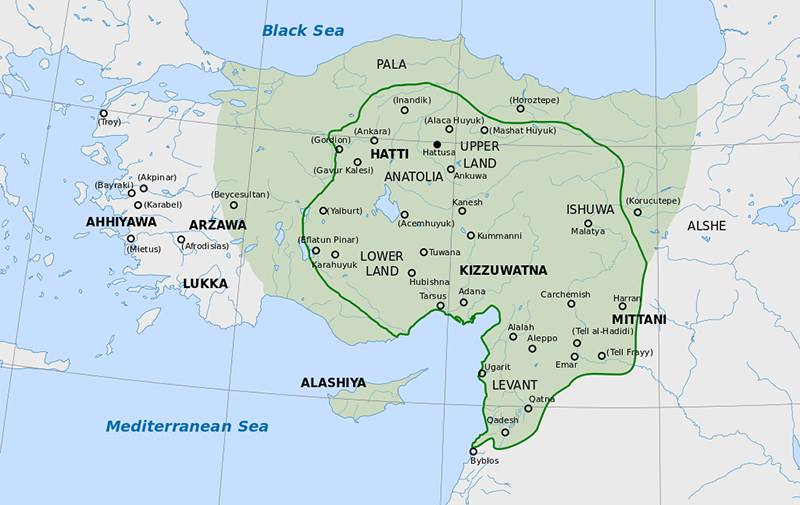 Map of Hittite empire during Suppiluliuma I rule. After several years, Egypt has launched a military operation that should have regain control of Kadesh. This action, as well as revived Mitanni activities forced the Suppiluliuma I to enter the territory of northern Syria. He besieged Carchemish the last Mitanni ally. At the time of these actions, Tutankhamun has died and his wife looked for herself a new husband. Suppiluliuma sent his son Zannanza to Egypt, which, however, was killed on the way and between these two great empires alliance has never made. Meanwhile, the state Mitanni survived the last days of its power. The group of conspirators killed Tushratta. Assyria took advantage of this act and occupied the northern and eastern parts of the country. Suppiluliuma took the rest. Tushratta’s son had to admit the power of Hittite ruler and he ruled with a small, insignificant part of the once-great country. Suppiluliuma died of the plague, which the soldiers brought from northern Syria. At the end of his reign, the state of the Hittites extended from western Asia Minor, to the north Mesopotamia, and from the Black Sea, to the area south of Kadesh. Suppiluliuma successor was also killed by the plague, so the throne went to his younger son Mursilis II (also Mursili II) (1321-1295 BC). The change at the throne has brought many problems. There was an uprising in the border areas. Although in military terms, he was not inferior as his father, but he managed to quell the rebellion, which broke out in the west of the empire, he destroyed Arzawa, and under his rule came entire western Asia Minor. He successfully suppressed the rebellion in Syria, which was ‘fueled’ by Assyria. In order to prevent further rebellions, a large population of Syrians was deported to the territory of Central Asia Minor. Rulers of the Assyrian Empire will later accept this Hittite policy. His son Muwatallis II (also. Muwatalli II) (1295-1272 BC) succeeded Mursilis II. In Egypt, at the time started period of the XIX dynasty, which was looking toward the Levant, and the restoring of the former empire. Seti I during his reign managed to conquer Kadesh and Amur. Muwatallis was busy with problems in Anatolia, and he did not immediately respond to the attack. Probably he even made an alliance with Seti I, only to temporarily stop him from further progressing towards the north. In addition to problems in Anatolia and northern Syria, Muwatallis II was facing with the problems in the north where Gaza tribes, threatened the border. That is the reason why in this area he organized a new principality, which was ruled by his brother Hattusili, latter Hattusili III. Hittite’s country exhausted by these conflicts, until last years of Muwatallis’s rule was unable to solve the problems in northern Syria. Only toward the end of his reign, Muwatallis probably encouraged by the knowledge that Seti I was very old and close to death, sent an army into northern Syria and he managed to conquer Kadesh. Seti’s successor, Ramesses II, during fifth year of his reign, around 1274 BC with an army of 20.000 soldiers was moving toward northern Syria. For this campaign, Ramesses II engaged four divisions. The army started from Pi-Ramesses, over the Sinai coast and camped 80 km from Kadesh. They captured two Hittites, who told them that Muwatallis II, ruler of the Hittites, is far from Kadesh (which was not true, they were east of Kadesh), and this created a relaxed atmosphere in the Egyptian army, which has begun to set up camp west of Kadesh. That is when Hittite chariot attacked Pharaoh’s camp. Egyptians in the end managed to repel the attack in which the life of Egyptian king was threatened. There was panic. Although they could easily reach the victory, the Hittites had made a mistake. They were astonished by what they found in the camp and instead of attacking, they went to loot. This gave time to the Egyptians to come around and to attack. The battle lasted all day and it ended untie. The next day, the battle was not continued, even though other divisions arrived. Egyptians had withdrawn after several days. This meant the defeat of the Egyptians and Kadesh remained in the hands of the Hittites. Realizing that he could not defeat the Hittites and regain Kadesh, Ramesses returned to Egypt, and celebrated victory. It was really a victory of the Hittites, because not only did they keep Kadesh, but they expand the territory of their country. * Poem of Pentaur – preserved on papyrus from the time of Ramesses successor, it was named after the scribe. After a while, Muwatallis II passed away and he was succeeded by his son Urhi–Teshub, after taking the throne he became Mursili III (also Murshilish III) (1272-1267 BC). He did not please nobility because he led an easy life and he was born from his father’s affair. His uncle Hattusili III in particular was not satisfied, because the Urhi-Teshub tried to reduce the territory that was under his direction. He also led the significant area and thanks to him the state has survived the onslaught of Gaza tribes, so he became popular in the nation. He performed a military coup and declared himself a ruler. Urhi-Teshub was hiding in Cyprus and then fled to the Egyptian court, where he promised them the most wonderful things possible. It was necessary to justify this usurpation of the throne, especially since Urhi-Teshub tried several times to regain power. That is how the text of the Hattusili’s Defence was made, and it is one of the most important sources from the time of a new Hittite Empire. This civil war has further destabilized the country, as well as the countries of western Asia Minor. Political opponents of one of the countries will delivered to the matrix. 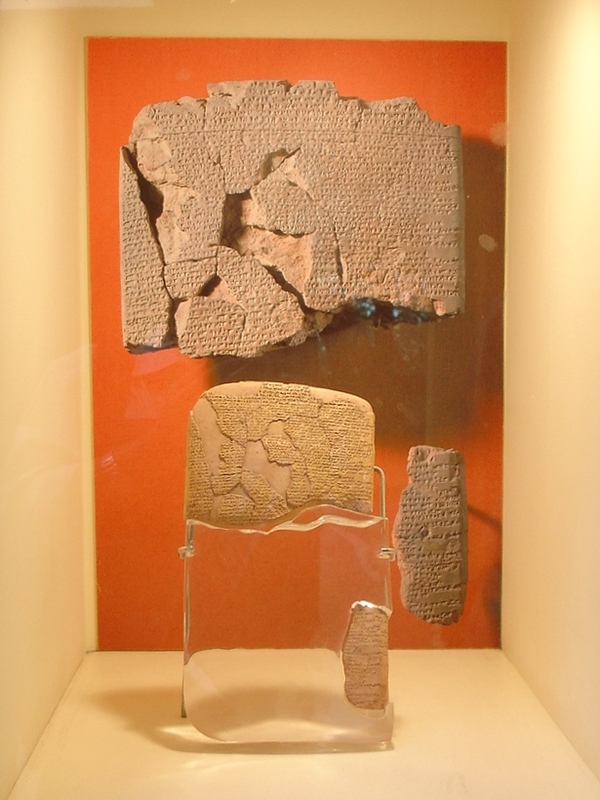 The last item is very atypical for the Egyptians but it is typical of the Hittites. At that time Then Urhi-Teshub disappears from the source, it is not known exactly how, but his issue was resolved, it is likely that Egypt stopped assists him. Marriage between Ramesses II and second Hattusili III daughter was made. Hostility between the two countries are completed determined as long as the state Hittites existed. 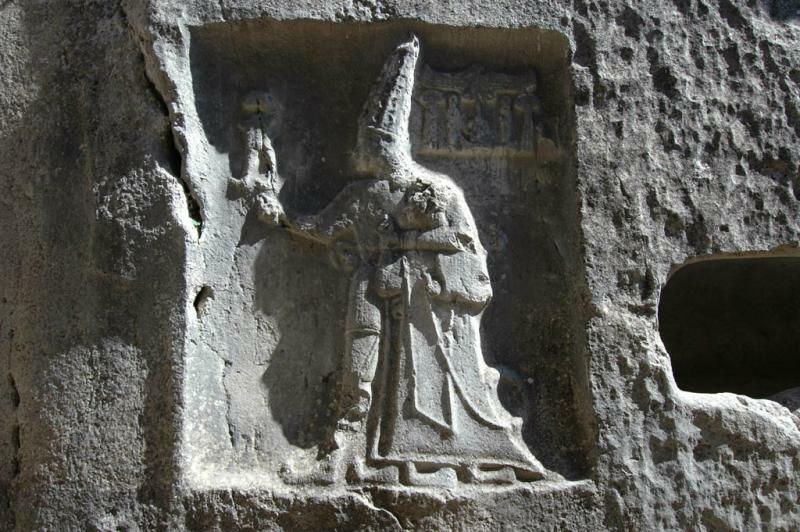 The relief represent Hittite emperor Tudhaliya IV and God Sharruma. Hattusili III was succeeded by his son Tudhaliya IV (1237-1209 BC). The beginning of his reign was peaceful, and he was able to devote himself to religious reform, and the formulation of shrines in Yazılıkaya. Still, the Assyrians were increasingly strengthened and threatened the Hittite. Tukulti-Ninurta attacked some Hittite strongholds. Also, Tudhaliya IV faced with serious problems in the West. However, opportunities were still unstable. The only client state that still remained loyal, was province Mira. Due to successful military operations and diplomacy, Tudhaliya IV has left western Asia Minor in a relatively stable situation. At some point of Tudhaliya’s rule, there was a coup, after which to the throne came Kurunta, Muwatalli’s son, but only briefly. Tudhaliya has managed to stay a ruler, and that power he then passed on to his son. However, the power of the Hittites has declined. The last written report was about Hittite ruler Suppiluliuma II, who came to the throne around 1210 BC, but the length of his reign cannot be reconstructed. A large number of Hittite sites suffered devastation at the end of XIII and the beginning of the XII century. Hittite capital city Hattusha was burned down in the great fire. The causes of these troubles are not sufficiently clarified. Around 1180 BC the Hittite country ceased to exist.